You have heard of globetrotters before–from those who sold all their property to those who are traversing the world naked, all for the love of travel. While each may be exceptional in his or her own efforts, the way Meigo Mark is living his travel adventures is too good to be true. 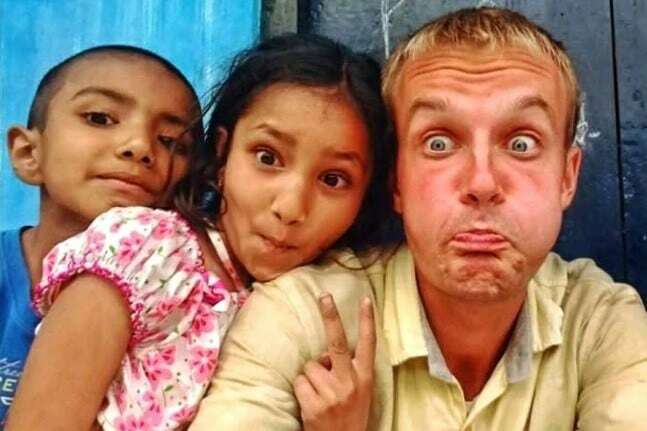 Mark is a 27-year-old traveller from Estonia, who started his expedition with about Euros 8 (Rs 611.08) in his pocket and a tent to camp in, reported Her World Online. How could he even buy a flight ticket with that much money? Well, he didn’t; he set out on his journey on foot. 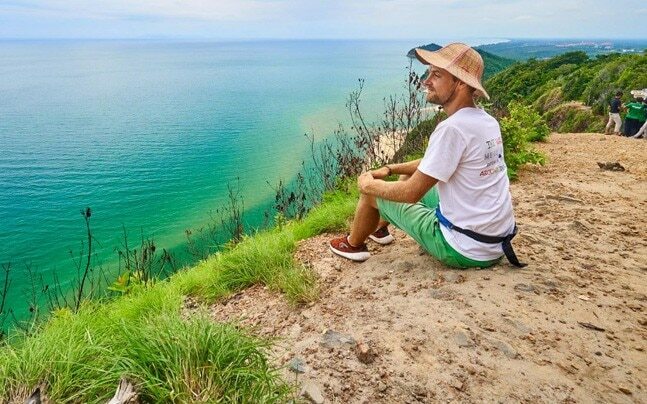 Mark had always nurtured his passion for travel, but it was in May, 2014, that he decided to embark on a new adventure–to walk around the world. And in these three years, he has walked all the way from Estonia to Singapore. What is it that motivated him to take up such a challenge? Mark had heard about Jean Beliveau, a Canadian TED Talk speaker and author, who spent 11 years to complete his feat. Besides, he had heard inspirational stories of other explorers like Sir Francis Charles Chichester KBE, who single-handedly sailed around the world in the 1960s. Soon, Mark sold his house and started walking around the world. He walked 30-40 km on an average, followed by periods of rest that could span between a day and two weeks. To mark his route, he followed Google Maps and Maps.Me, to enjoy walking through peaceful neighbourhoods rather than busy highways. He crossed rivers and seas on boats, ferries, ships and airplanes, but stuck to walking when on land. However, Mark is no regular tourist, visiting famous attractions across destinations. 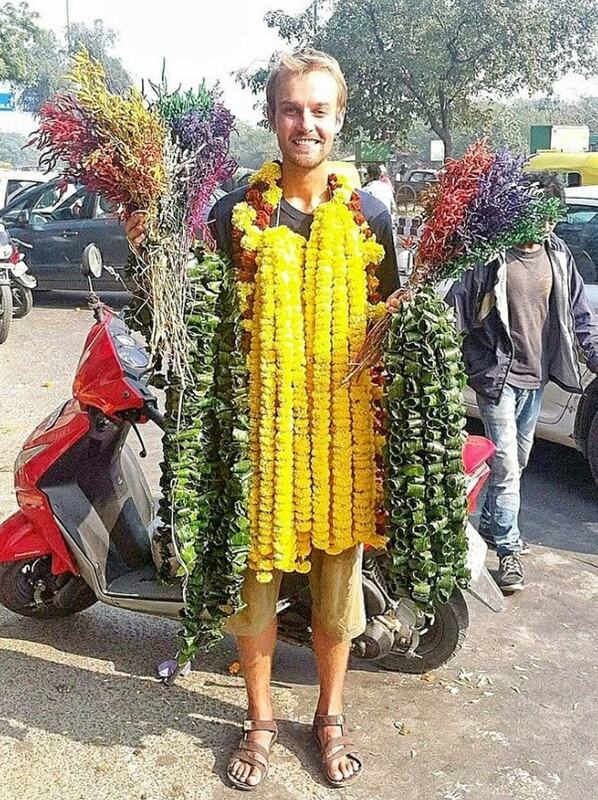 He is a traveller, in the true sense of the term, who, for all these years, took to couchsurfing, not to save money, but to avail the opportunity to learn about people and their cultures, which included villages of Sikkim and Assam too. On one hand, he slept with humble workers in their slum. On the other, he had lunch with mafia-type drug dealers, armed with guns. “The longer I travel, the more optimistic I get about humans and our willingness to help each other when in need,” Mark was quoted as saying by the website. 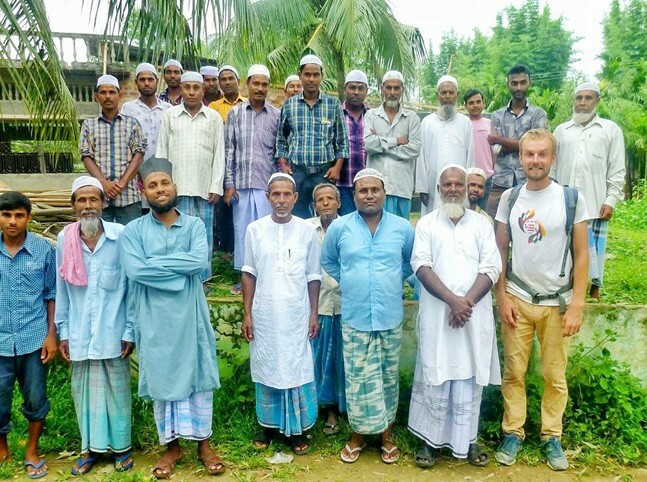 ”Meeting so many different social groups, I’ve found ways to see not just the differences but the similarities, which make us human and help us connect. We both see the same sun and moon. As a traveller, it’s interesting to see what’s different in terms of culture, food and language, but at the same time, I try to see the similarities,” he added. In the past three years and five months, Mark has walked 17,850 km, in 21 countries. He is currently on his 21st pair of shoes, but it doesn’t seem like he will stop anytime soon. He plans to continue the journey, but not for setting any benchmark, stated Mark. “I’m not trying to make or break any record. For me, this journey is a great learning experience,” he said. And what has he learnt? “I see how I talk differently. Sometimes I wonder if we really change or become more ourselves. Everything that is not part of me or for me, just falls away. I’ve also become more easy-going meeting different people,” reflected Mark. Today, he is inspiring youngsters to chase their dreams as a professional speaker. So far, he has visited up to 25 schools and universities to give talks. But there’s only one fear that he is gripped by, ”negative emotions or selfish dynamics – and it’s very scary,” revealed Mark. That’s when he goes back to his old travel photos and videos to relive the positive vibes he’s received throughout his journey. Why do we often end up exceeding our budget on vacations?